Following the announcement of their UK headline tour, Folk-Americana four-piece The Wandering Hearts have sold out London’s Islington Assembly Hall on 28 November. Having already sold out their three previous London headline dates, most recently Bush Hall, this will be their biggest headline performance yet. The band have also announced the release of a Deluxe edition of Wild Silence, out on 25 January 2018. The deluxe album includes three brand new tracks: ‘Til The Day I Die, Run and Heart Stops Beating, acoustic versions of album tracks Wild Silence and Fire and Water, plus live recordings of Burning Bridges and The Wonder Of You from the band’s show in Memphis earlier this year. The Wandering Hearts recently returned from Americanafest in Nashville, where they led the UK charge of talent, playing multiple shows at this year’s celebration of the best of Americana and roots music. Over summer, the band performed at a string of UK festivals, including BST Hyde Park headlined by Eric Clapton, Latitude, Black Deer and Standon Calling. 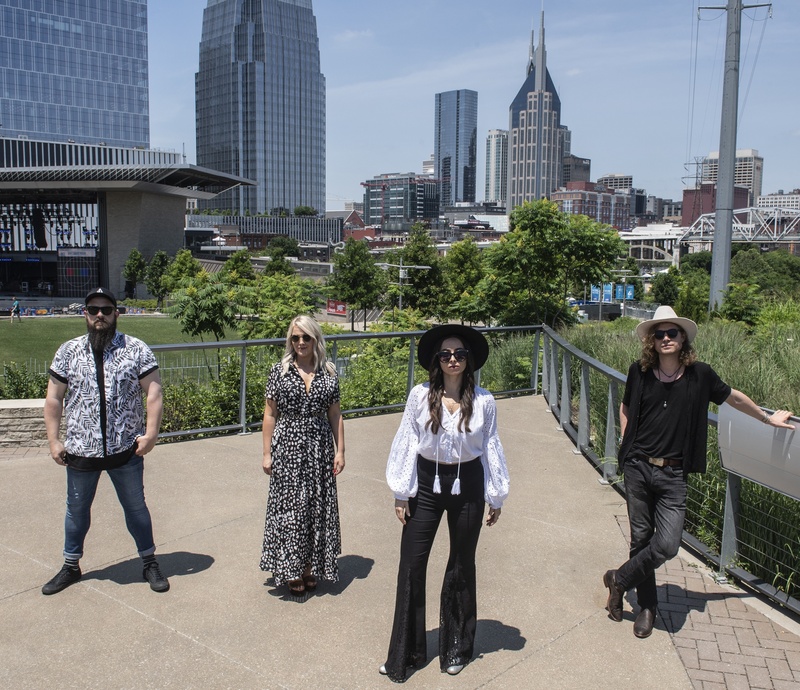 In June, The Wandering Hearts became the first UK band ever to debut at Nashville’s iconic venues, the Ryman Auditorium and Grand Ole Opry, in the same week. They received a standing ovation for their performance at Marty Stuart’s infamous Late Night Jam at the Ryman where they shared the stage with Marty Stuart And His Fabulous Superlatives, Margo Price, John Prine and Chris Stapleton, as well as country-rock legends Chris Hillman and Roger McGuinn of The Byrds. After a brilliant Opry debut, The Wandering Hearts were invited back to the iconic venue to perform for a second time a week later. In addition, the band added slots at CMAFest, The Basement and The Bluebird Café to their whirlwind tour, earning a rapturous welcome at each show. The band travelled to the US after receiving a personal invitation from legend Marty Stuart to join him on the Nashville and Memphis dates of his tour after they supported him in the UK. The Wandering Hearts were discovered in the UK within half an hour of uploading their first demo online, and shortly after were signed to Decca Records. Over the past 18 months, The Wandering Hearts have built a loyal fan base with their signature sound that transcends genres: this is what makes them so special. With their seamless vocal harmonies, The Wandering Hearts are reminiscent of First Aid Kit and Of Monsters and Men, whilst channelling Fleetwood Mac’s pop sensibility and the storytelling of Chris Stapleton, all the while keeping their British roots at heart.